Baby quilts are so fun to make. 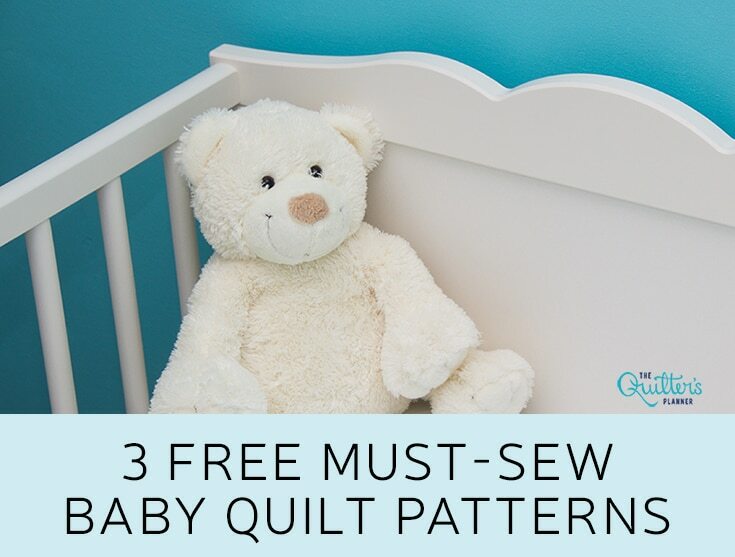 Whether you make a quilt for your child or a grandchild, for a friend’s baby, or for a child in need – to be delivered via a philanthropic organization – baby quilts are super satisfying. Not only are they often “faster finishes,” there’s something extra special about welcoming a new life into the world with something you’ve made by hand. We find it super helpful to have some go-to patterns for baby quilts on hand, so today we’re sharing three terrific and FREE baby quilt patterns with all of you. These are suitable for both girls and boys depending on your fabric selections, so we hope you’ll add them to your library of patterns for future reference. This pattern is so versatile, and l particularly love it because it’s an excellent stash-busting pattern. I think it’s great for both coordinated collections and harmonious scraps from your fabric stash. 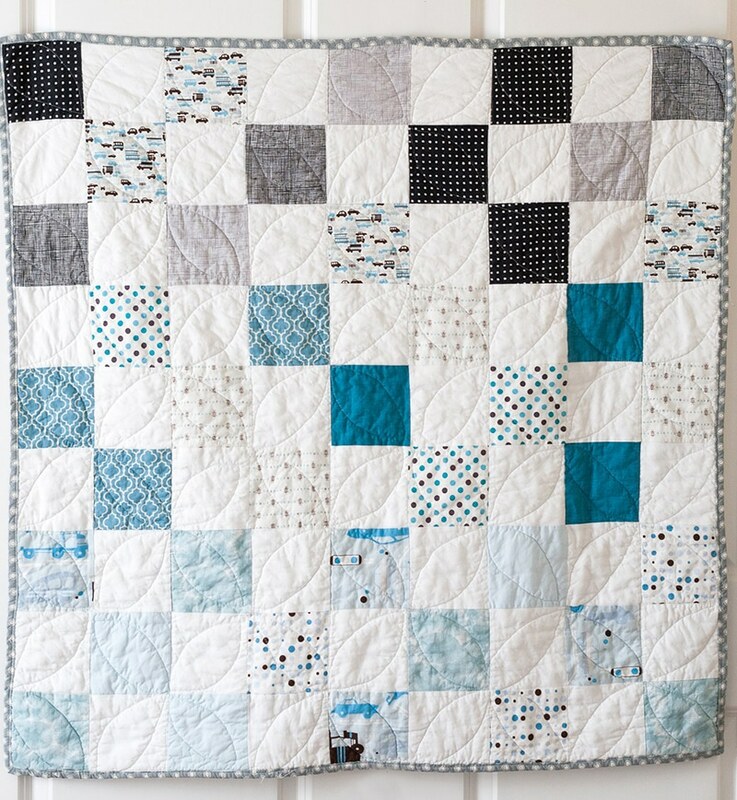 Another darling and versatile quilt, this pattern is also ideal for using up scraps. Regardless of the baby’s gender or the nursery’s color scheme, this quilt will be a great fit with the right fabric selections. PLUS (quilt motif mention intended), I can easily see this made up as a wall hanging for interior décor purposes. After all, baby-sized quilts aren’t just for babies. 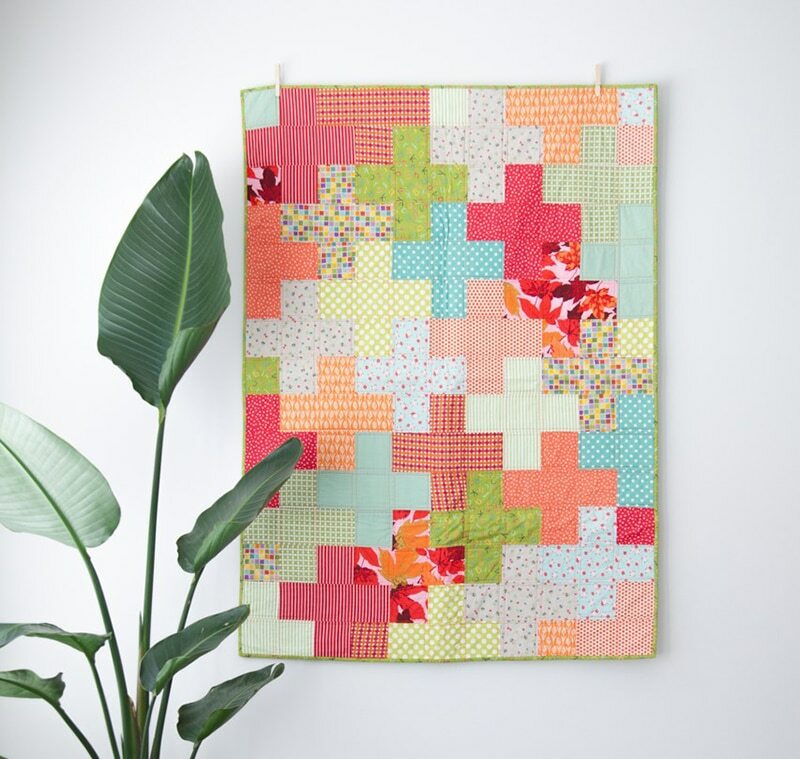 Simple Squares Quilt Pattern from Coral and Co. This pattern looks so feminine and fresh in the fabrics they chose and can be customized in a million different ways. I can think of dozens of ways to adapt this based on both color and theme, and hope it gets your creative juices flowing, too. When you make these beautiful baby quilts, please post them to social media and tag us so we can see your handy work. Be sure to tag the makers, too. We know they’ll appreciate the shout out and the opportunity to see what you’ve made with these fun patterns.